We’ve travelled to the city of London and teamed up with the wonderful Sandra Guerin from Cake + Whisky. 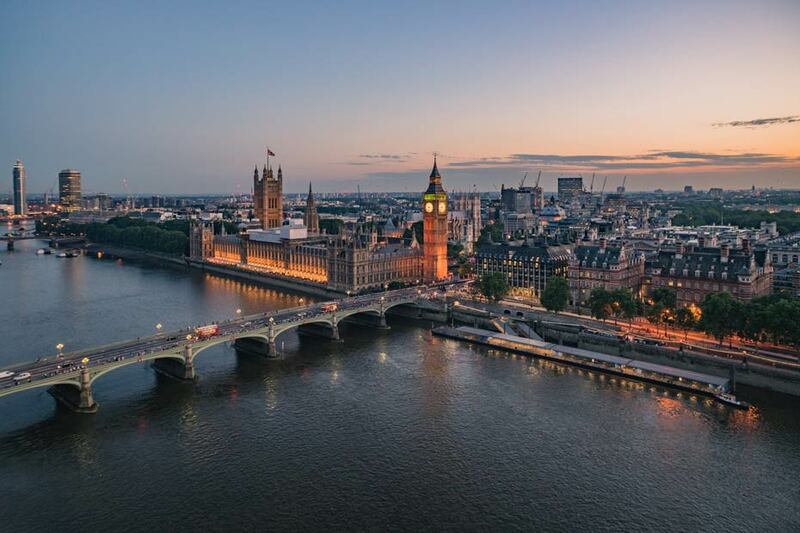 Here, she gives an overview of London’s whisky world, including recommendations for the best places to drink whisky cocktails, the finest venues to dram and dine, and where to go if you want a glimpse into the capital’s distilling scene. As surprising as it might sound, there aren’t as many dedicated whisky bars in London as you might think. One exception to the rule, however, is BlackRock. 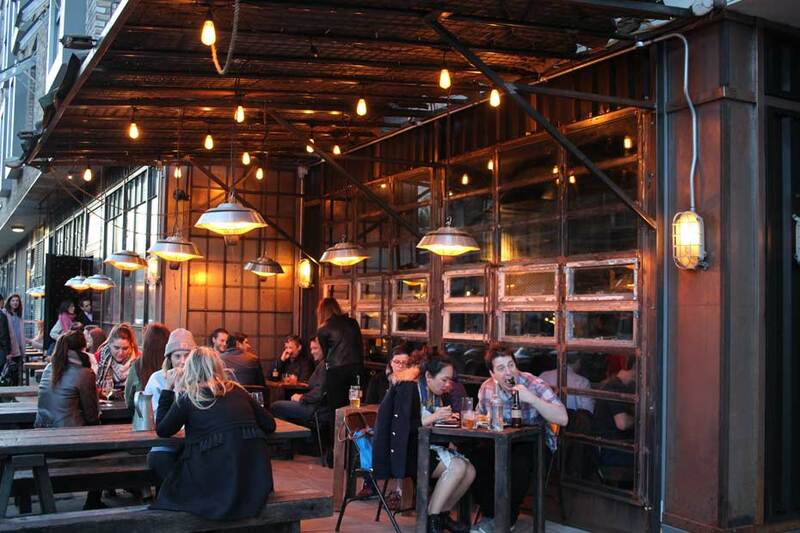 With its gigantic, whisky-filled oak table (literally), it’s definitely a must-visit. If you manage to find out what mixologist extraordinaire stav B is up to, go there. Otherwise, Mr Fogg’s Residence is a must-visit for its quirky surroundings and always excellent suggestions from the team. Where would you dram and dine? The world whisk(e)y selection at Jamie Oliver’s original Barbecoa restaurant is really impressive. They have a compendium with bottles from all around the world, and dishes (all cooked over fire) to match. For something more casual I’d recommend heading to Mac & Wild, a Scottish-at-heart, game-and-seafood oriented restaurant with outspots in Fitzrovia and the City; they serve a whisky fuelled brunch that’s well worth a try! How about distilleries in London? Both The London Distillery Company and The East London Liquor Company have recently started distilling whisky in London. I haven’t visited either yet, but they’re definitely on my ever-growing bucket list. 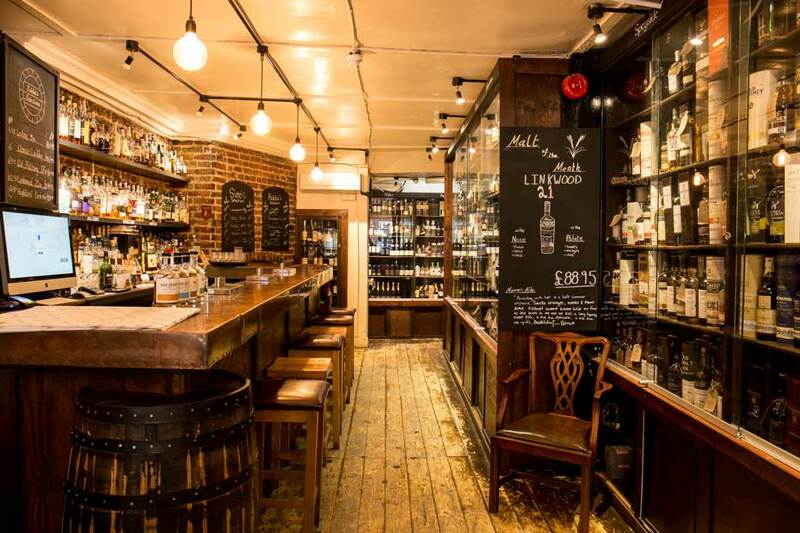 As London’s oldest whisky shop, it’s no surprise that Milroy’s offers an incredible selection. They also have a cosy little bar at the back, with more than 250 whisk(e)ys for you to try. If you spot bottles of The London Essence Co.‘s delicate ginger ale, pick a few of those up – it makes for the perfect Whisky Highball. What about a hidden gem? My local pub, The Vestry, is the very definition of a hidden gem. It’s tiny, cute and affordable, and the people working there are simply the nicest. They have a small but perfectly formed selection of spirits and regularly host great events. If you’re up before sunrise, make sure you book a table for breakfast at Duck & Waffle; the views are breath-taking (and the cocktails quite lovely too). If you can’t make it up quite that early, a full English breakfast will make up for it. An old-school British pub is the place to go for this. Because I have more than a bit of a sweet tooth, I’d have to grab a little something at some point, be it a scoop of ice cream from Gelupo or a cardamom bun from Fabrique – nothing too big though, as I wouldn’t want to spoil my appetite before dinner at Smokestak. Not ordering the whole menu is a challenge, but I like to save some stomach real estate for the sticky toffee pudding, which is a caramel lover’s dream come true. I’d end the night with a tipple at The Vestry, but not before a visit to Beigel Bake to pick up bagels for the next morning.